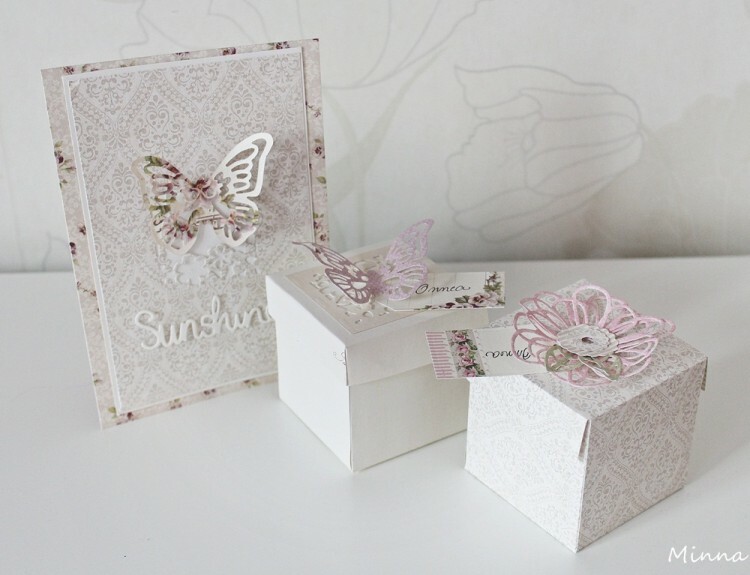 I made two little gift boxes and a card using “A Day in May” papers. These papers are quite soft tones, so it’s easy to combine other papers with them. This is the most beautiful card I ever saw in Pion!! Good job on all of these, Minna! So soft, so lovely, just so elegant!